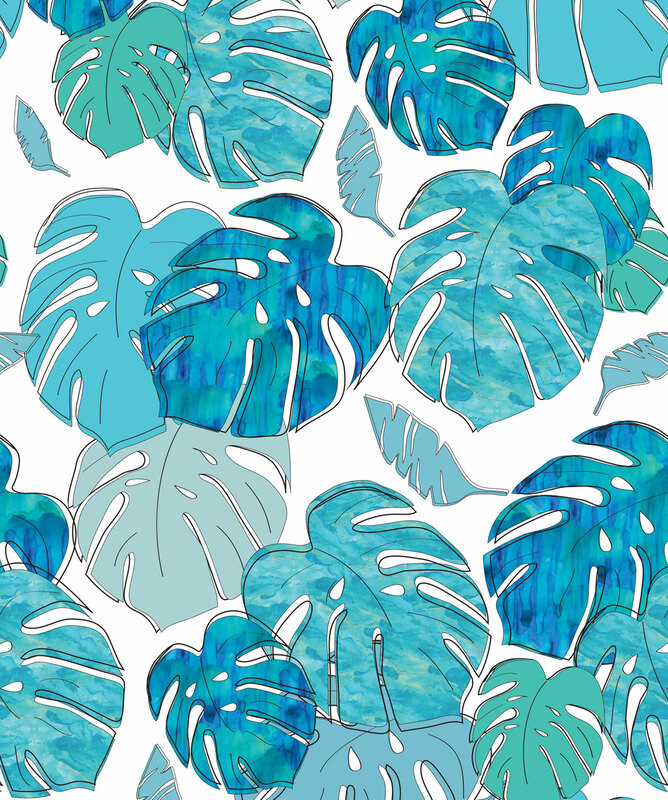 Embrace the mood of balmy Summer days with Tropicale. 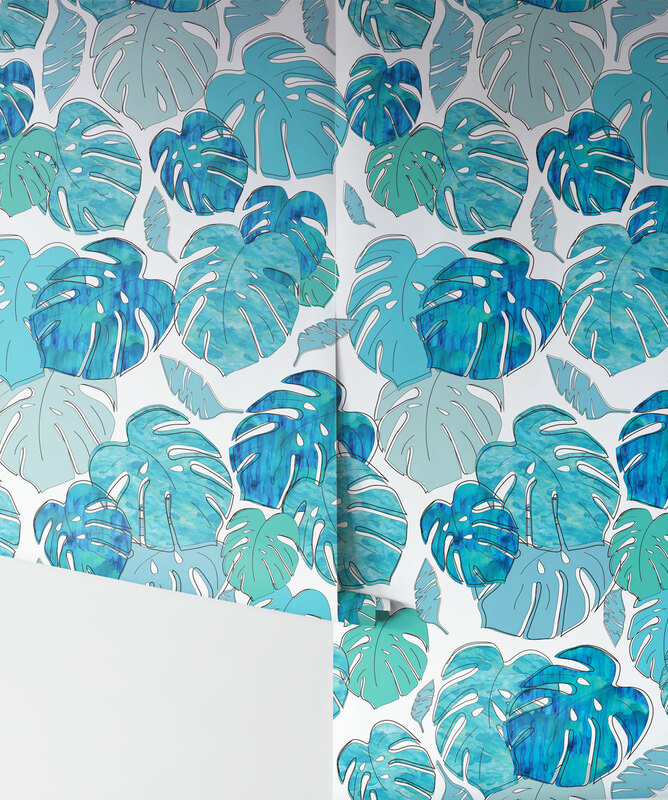 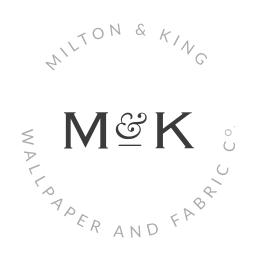 This removable blue wallpaper will bring tropical flare to any room, you can almost feel the heat of a tropical breeze carrying your troubles away and hear to the soft rustle of these graphic monstera leaves. 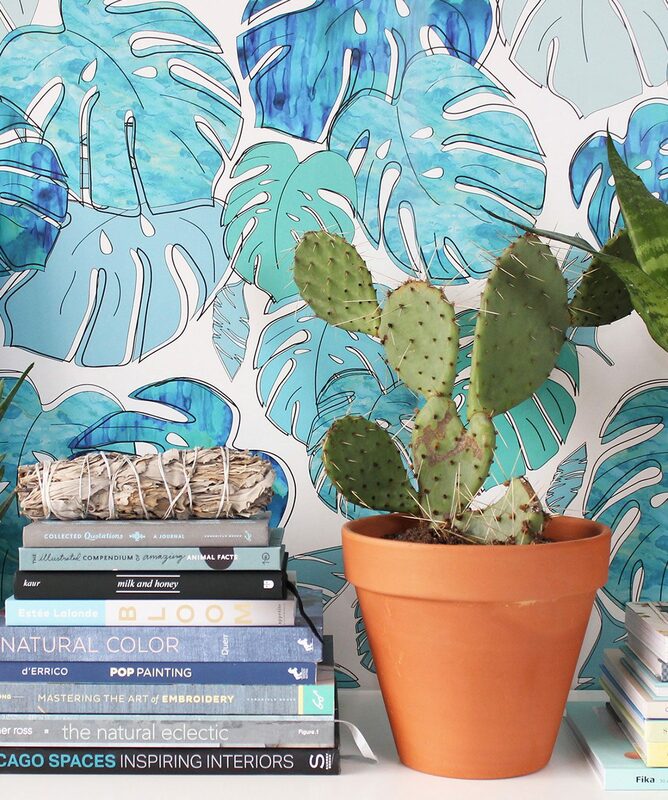 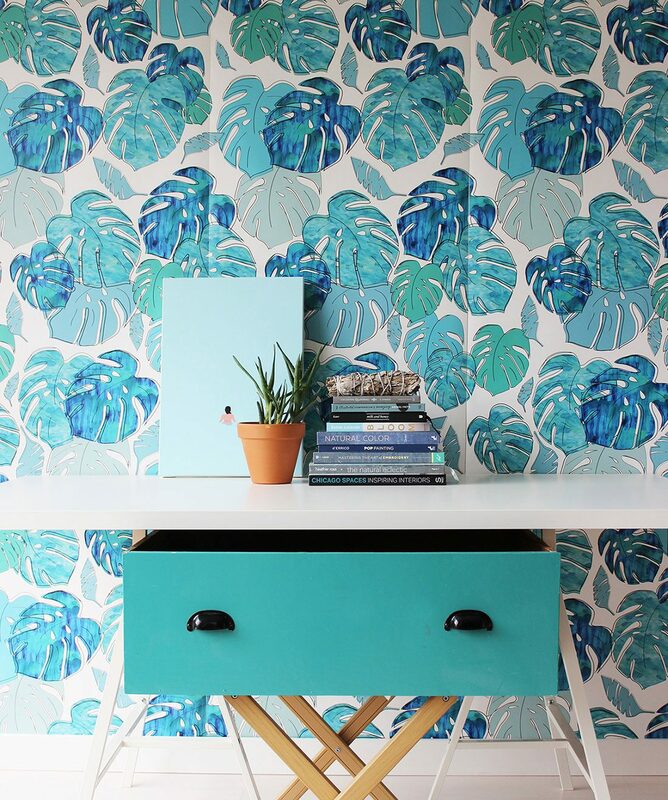 Canadian design bloggers Poppytalk have brought this tropical wall covering to life.